After being walloped by Windies in Barbados, England head to Antigua needing a win to level the three-Test series. 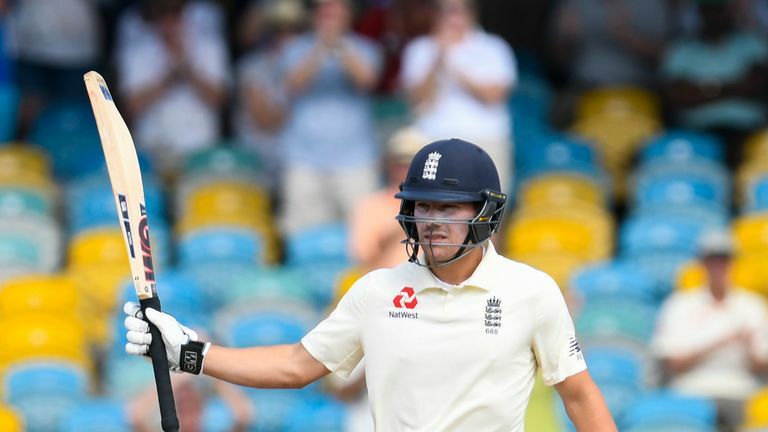 England have dropped opener Keaton Jennings for the second Test after he was dismissed for 14 and 17 at Kensington Oval, with uncapped 32-year-old Joe Denly to open with Rory Burns instead. 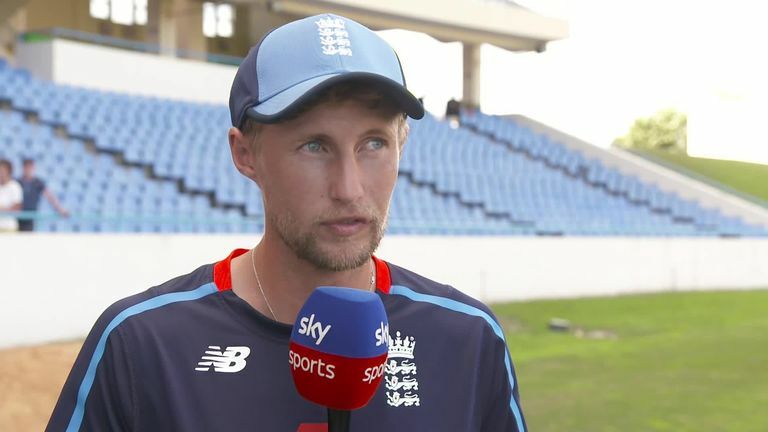 Captain Joe Root says Denly has a "great opportunity" but believes Jennings, who has two Test hundreds to his name - one against India and the other against Sri Lanka - is far from finished at Test level. "I think he's a fine player who will respond well to this and will come back and try to prove people wrong," said Root. Read more from Root HERE, including on Stuart Broad, Jack Leach and Adil Rashid. England captain Joe Root says they are being proactive by replacing Keaton Jennings with Joe Denly at the top of the batting order. Why do England keep collapsing? England were rolled for 77 on a horror day two in Barbados with the team lasting just 30.2 overs. It's not the first time Root's men have subsided with the bat, so what's the remedy, Rob Key? "That is a tough thing to do because all we ever hear is about how T20 cricket has ruined batsmen, no-one knows how to bat for long periods of time and everyone needs to look at Cheteshwar Pujara and how he bats. "That might be the case but there is no point in Root, Stokes, Buttler or whoever trying to bat like Pujara, they've got to play their own way and try and flip the momentum." Read more from Rob HERE! 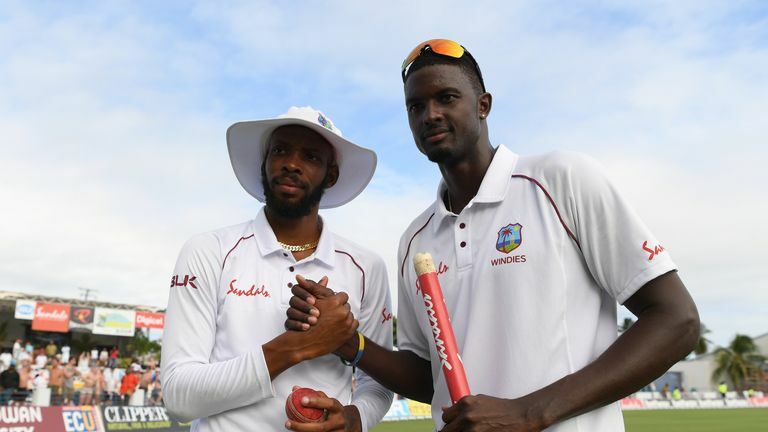 Windies skipper Jason Holder enjoyed a dream home Test in Barbados, scoring a sublime 202 not out from 229 deliveries - the third-highest score by a Test No 8 - and steering his side to a 381-run victory. But the 27-year-old says his side are determined to win again in Antigua and secure just a third Test series victory in 16 attempts. "Speaking to the guys, everyone is speaking about just being consistent - that's something which has plagued West Indian cricket in the recent past. Everybody is really hungry. Read more from Holder HERE! 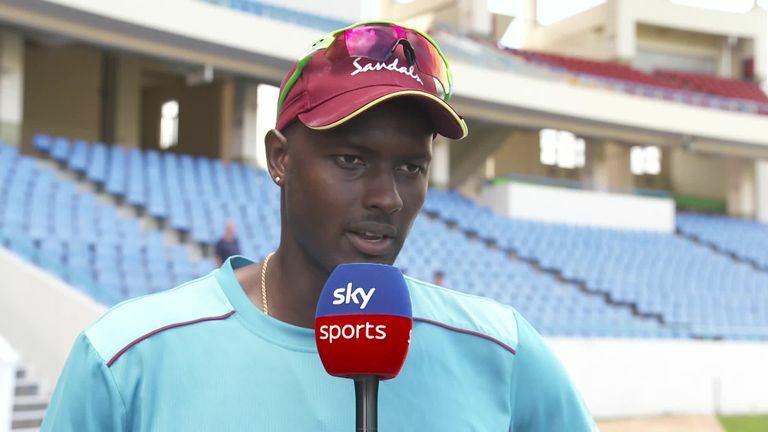 Jason Holder insists West Indies are hungry for more ahead of their second Test against England in Antigua. 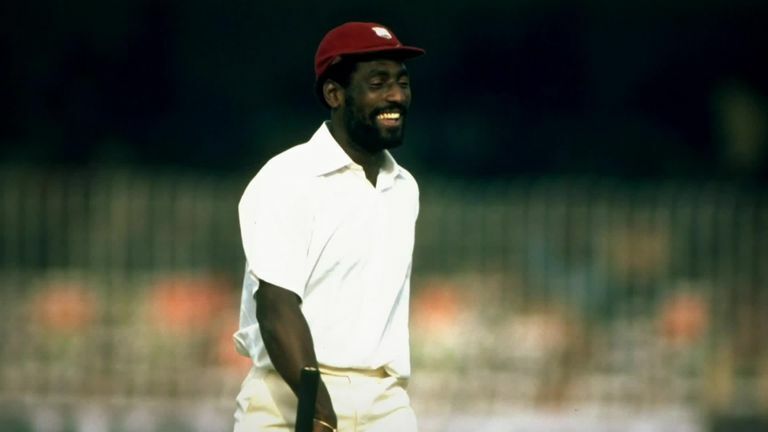 England have never won a Test at the Sir Vivian Richards Stadium but they have encountered a 10-ball game at the venue, while they were also held to a draw there in 2015 following Holder's maiden Test ton. Oh yeah, and Kemar Roach - who ripped through England in Barbados - destroyed Bangladesh at the ground last July. Read more HERE. Surrey skipper Burns was one of the England success stories in Barbados - the left-hander's second-innings 84 the top score for his side in the match - and the 28-year-old says the tourists will learn from the hammering. "Leaving the ground it was, 'how do we respond? How do we come back from that?' and almost to use it as a lesson and something to build on, placing a higher value on your wicket and transfer pressure back onto bowlers if they bowl well. "We'll talk about these things and how we get better and how we keep improving. It's a bit of a blip but how do we take that forward? How do we use that as a lesson and improve?" Check out more from Burns HERE! England's Rory Burns says the team were disappointed to lose so heavily to the Windies in Barbados but says they will look at the first Test as a 'lesson'. 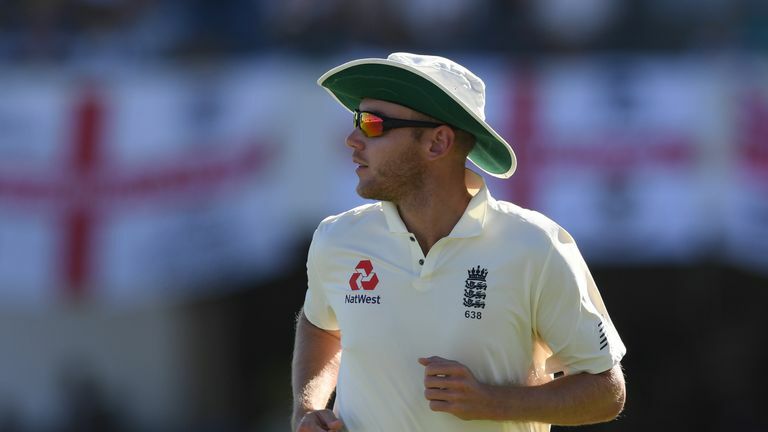 Stuart Broad looks nailed on for a recall in Antigua - and he says his omission in Barbados hit him hard because of how great a form he feels in with the ball. "From a personal point of view I would have loved to have a bowl on the Kensington Oval pitch - it looks like it's suited to the taller, faster bowlers," Broad said in his Daily Mail column. "Another source of frustration is that I'm bowling the best I've ever bowled. I believe that 100 per cent. Everyone in this England group knows it too." Read more from Broad HERE! 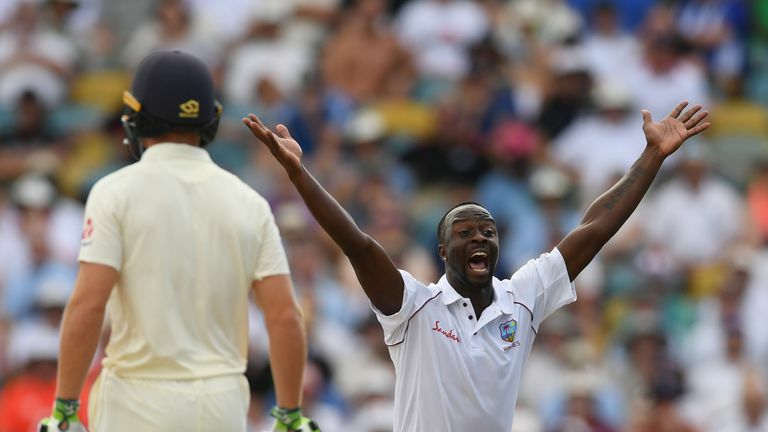 Watch day one of the second Test between Windies and England, in Antigua, live on Sky Sports Cricket and Main Event from 1.30pm on Thursday.